How Does Angry Birds Look in real life ? 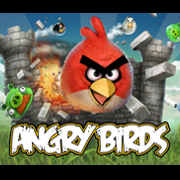 Angry Birds, the game that had earned its fame in such a small span of time, is now going to have its own movie going to hit the theaters not before 2014. Those who do not have the iDevices (Pad,Phone,Pod) have nothing to worry about because there are many online game sites where you can play it and the Google Plus users also have it in their Games Tab. Obviously, the main attraction of the game is the control by the finger which, unfortunately, cannot be done in the PC. Let’s have a look how the game would appear in real life ! I presume most of you have already watched it but for those of you who still did not, it is a must watch ! This video has no link to the movie that is being created. This is just an Smart Phone advertisement by T-mobile which shows the Angry Birds being controlled by the phone !